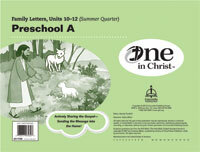 Help young children learn about Jesus and grow in their understanding of God’s love for them. 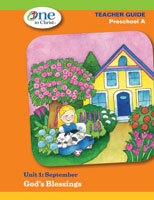 Preschool A lessons provide a framework for children to explore, express, create, and relate to one another each day. The Preschool A materials contain 52 weeks of materials for four days per week, plus one bonus lesson per quarter. Each daily lesson includes four sections that provide materials to use throughout the day. A must-have for early childhood program directors! Includes resources for developing a nurturing Christian early childhood program and explains how to use the One in Christ materials. Also provides learning standards. Spark life-application discussions with your students about situations they might encounter in everyday life. There are six themes with eight photos or illustrations per theme. Themes include: church, home, family, school, play/recreation, and holidays/celebrations. Each card measures 8-3/8" x 10-7/8". 48 photos total. 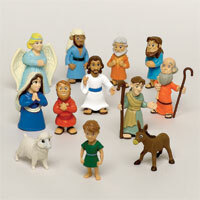 Make Bible story time come to life with fun finger puppets. 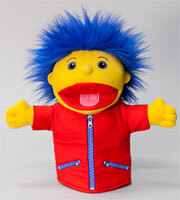 Each puppet fits at the tip of your finger to help you share Bible stories with the children in your classroom. 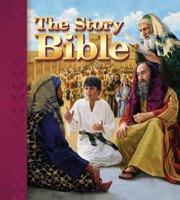 Including 12 figures—Jesus, Peter, Joseph, Mary, Noah, a boy, a shepherd, a young disciple, an older disciple, an angel, a lamb, and a donkey—this Bible character figures set engages little hands as they learn stories from the Bible. Teach children about God’s love through music! Including voice recordings and separate instrument-only recordings, the 3 CD-set includes 45 songs for children to sing along to with joy and enthusiasm. The CD set and songbook are sold separately. Provide families with activity suggestions that coordinate with the themes their preschoolers are learning. 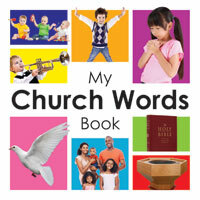 Each letter includes a bright Bible story picture, the weekly theme, a simple telling of the Bible story, Bible words to learn, and family activity suggestions. Order one per child or family. Units 1–9 and Units 10–12 are sold separately.